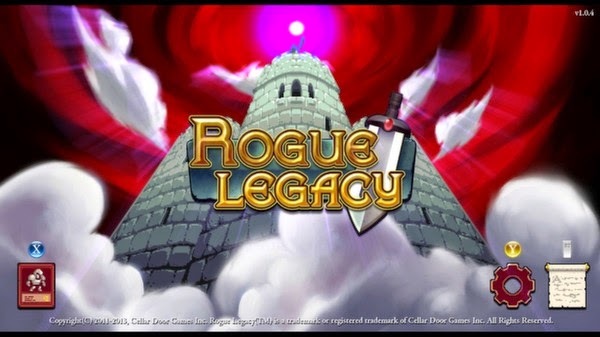 I beat Rogue Legacy! I guess it was alright. The only reason I stuck with it is because it's a great game to play while I'm exercising on my stationary bike. Certain games lend themselves to being played while doing other things and this is one of them. And I'm always doing other things while playing Rogue Legacy. Usually I'll mute Rogue Legacy, get on my stationary exercise bike, play a podcast, and just zone for awhile. After you understand the mechanics and basic classes of the game it becomes about execution of platforming and attacking. It doesn't require a lot of thinking or planning. That's exactly what makes it perfect as a game to play while exercising. I played it almost every day for the past few weeks and I finally beat the last boss. I liked my time with the game and at this point I would pick up a sequel if they were to make one. That being said, I would never sit down and play this game as a solo activity. It needs to be accompanied by other things like listening to podcasts/audiobooks or exercising.